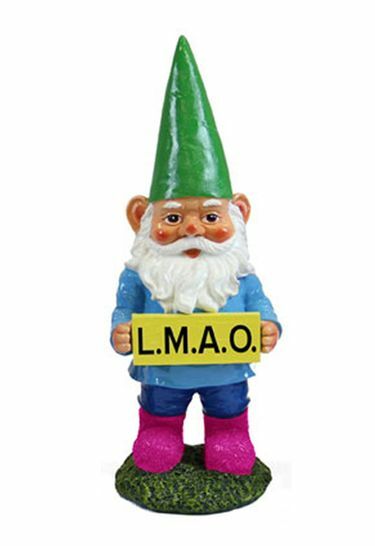 This is a hilarious LMAO Garden Gnome is perfect for any texting addict, anyone with a sarcastic dry sense of humor, and anyone that can't stop LMAO-ing!!! Our silly Texting Gnomes just can't stop, and they have a lot to say! Get one for yourself, and then let a friend know you got one for them as well, via text! Lacquer coated for long lasting shine and durability!